It is officially “winter” in Albania. The time change last weekend means that it is dark by 4:30 and suddenly everything closes by 6. The wind has picked up in Lezhe, and my firewood was delivered earlier this week…now the weather just needs to catch on and get cold (actually, the frigid air can take its sweet time). 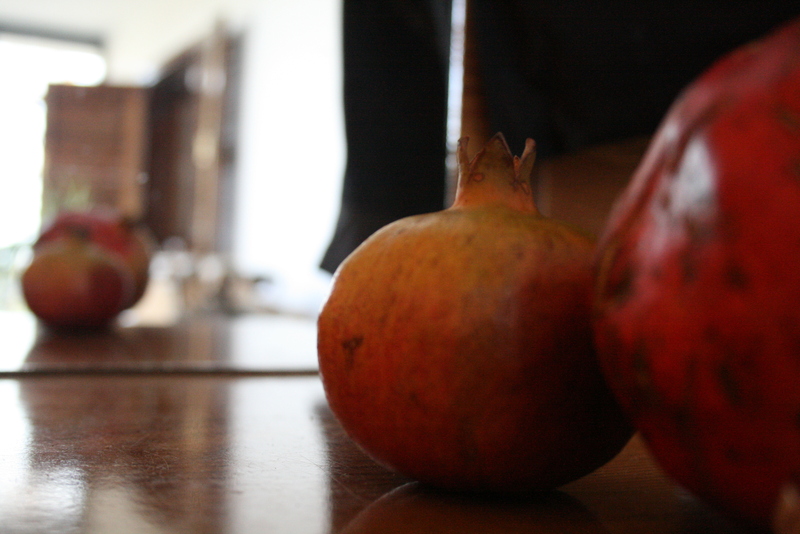 Here in Lezhë, the browning trees are full of shega – pomegranates. We have so many growing wild in the hills around town and in the gardens and farms nearby that the area has become famous for the fruit. There was even a song written in their honor…and it’s played around town at every opportunity. Today there’s a small festival in the square by the Bashkia to celebrate shega lezhjane. To me a shega is something indicative of Albania and how different my life is now – in the last months I have eaten pomegranates, persimmons, figs, grapes and quince all right off the tree/plant…and previously I didn’t even really know what kind of plants these grew on. LM: We are very much enjoying your posts. Keep it up. They remind us of our time in Albania. I’d have to have ear plugs if they played that all the time!!!! What a wonderful experience! I worked at the food pantry this am with your Mom!